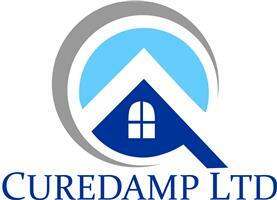 Curedamp Ltd - Damp Proofer, Plasterer based in Barnsley, South Yorkshire. Here at Curedamp Ltd we are dedicated to Quality and Customer Care. Our Qualified Technicians have over 20 years experience in all aspects of Damp/Timber and Plastering. We undertake all types of Damp Proofing including; Rising Damp, Penetrating Damp and Condensation, damp/timber Surveys, Timber Treatments for Woodworm and Wet/Dry Rot and also specialize in all aspects of Plastering. Our company also can offer Full Renovations, Tanking and all General Maintenance. All our Damp Proofing also comes with a 10 year Company Warranty. We pride ourselves on Quality and giving the customer complete satisfaction and we love to hear feedback off every client.